There are two primary types of financial aid that a student can receive. The first is merit-based aid. These include scholarships and grants that are based on academic and extracurricular excellence. The second, and the one that parents can directly affect due to their finances, is need-based financial aid. At the federal level, need-based financial aid can come in Pell Grants, Stafford Loans, and PLUS loans. There are also need-based financial aid opportunities at the state and school levels for qualifying students. Even if you think you make too much money for your kids to get any need-based aid, you should still apply for it. Making the right decisions now regarding your financial situation can help you minimize your financial burden. The first step that need-based financial aid is based on is the annual FAFSA or Free Application for Federal Student Aid. This form is used by the federal government to collect information on your household income. This income determines your EFC, or expected family contribution. The greater your expected contribution, the less financial aid that your child or children will qualify for. The way that the FAFSA determines your EFC is by looking at several factors. These include the number of children in school, and your overall family size, but the key information is the size of your asset pool. And that is where a CPA can help. Up to 47% of your income is considered to be available to pay for college. That’s your adjusted gross income, not your net income. This percentage is a progressive system; so depending on your income, it usually falls to about 25%. Non-retirement assets are also included, with up to 5.64% of those expected to be available for college tuition. Retirement accounts are not included, but the contributions and untaxed income from 401(k) and IRAs must still be reported for the year that the FAFSA will cover. Additionally, any contributions made to the student or spent on their behalf must also be reported as untaxed student income. Because student assets have a much higher impact on the FAFSA than parental assets, this could significantly affect the amount of aid that your student receives. So how do you make sure that your student will get the most financial aid they can? There are some general tips that will help. First, limit your taxable income. This doesn’t mean you should quit your job, but rather be on the lookout for things that will cause a large capital gain. A good CPA can help you plan for these events or even find ways to offset them with capital losses. Secondly, don’t open custodial accounts for your students. Remember that student assets weigh more heavily when it comes to calculating the EFC. Instead, open a 529 college plan; these are calculated much lower than normal assets. Let your accountant work the numbers to find out if this will help reduce your EFC in the long run. 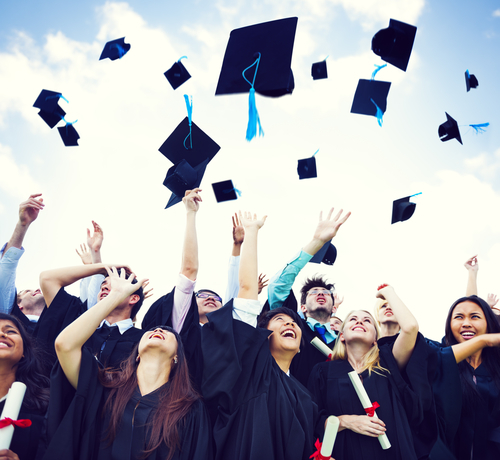 If you have a few years until your children are ready to go to college, consider moving liquid assets into retirement accounts now before they can impact your EFC. Money that you keep in bank accounts will increase your EFC, while retirement accounts will have a much lower impact. If you have older relatives, they may be considering estate planning where they reduce their overall estate value by giving gifts to grandchildren or nieces and nephews. Remember that these gifts are considered assets owned by the student and can have a significant impact on their EFC. Work with their CPA to time the gifts so they have as little impact on your EFC as possible. Remember that every family’s situation will be unique when it comes to financial aid planning. Working together with a qualified CPA can help identify the variables that will have an impact on your family’s eligibility. It’s important to work with someone who knows the regulations because a single bad decision can have long lasting effects on your family and the amount of financial aid that all of your children will receive. Let us help you calculate how you can maximize your children’s federal aid benefit for college so you don’t have to pay as much out of pocket.